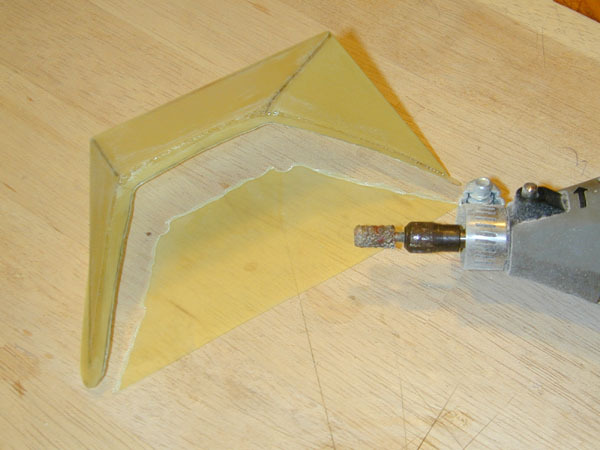 This technique is an updated version of my original “How To” using thin 1/32 inch plywood to make 3-panel windshields for open cockpit airplanes. 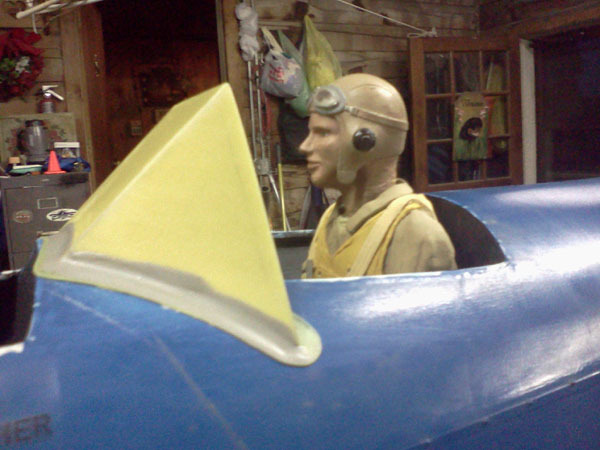 The airplane I am using is a loaner Stearman PT-17 I got from Nick Ziroli Jr., and I wanted to spruce it up a little for him. Let’s get started. 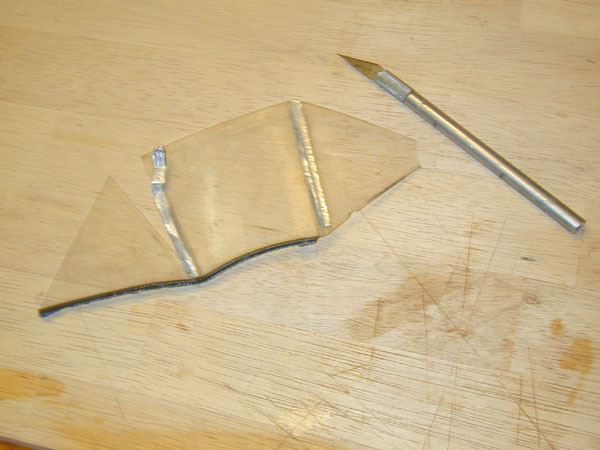 (Above) Here is the old wornout clear plastic folded windshield I am replacing on a Ziroli Stearman PT-17. As you can see, it’s seen better days. 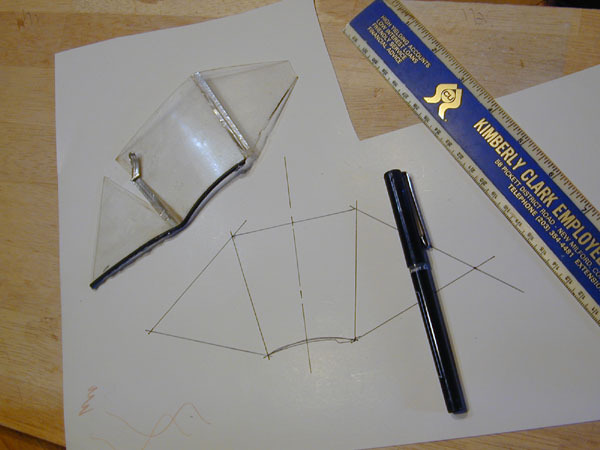 (Above) Use the old windshield as a guide to make a new paper template. 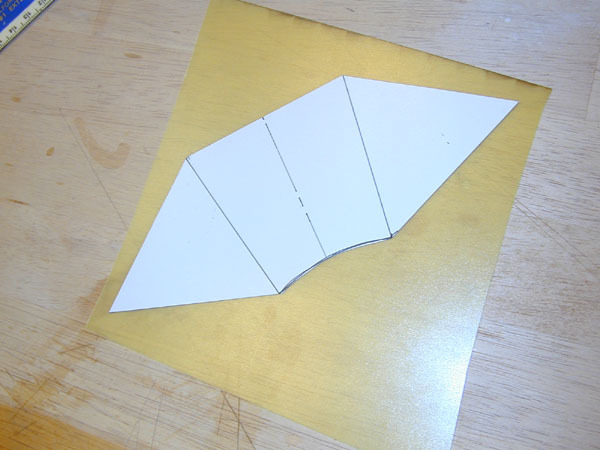 (Above) Use a sharp X-Acto Knife and cut your template out. 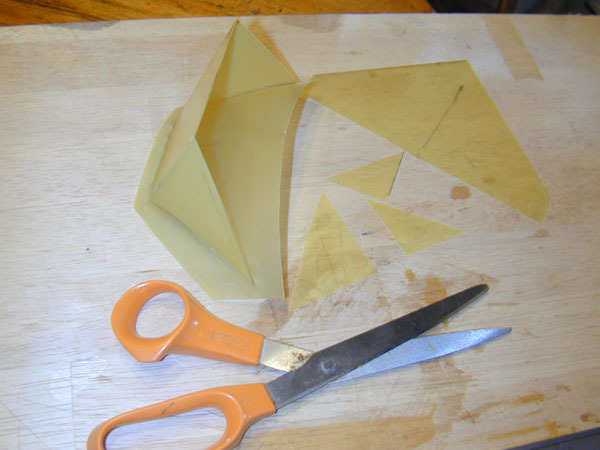 You can fold it in half along the centerline of the front pane to make sure it is even all around. This is important if it is to fit in place accurately and look scale. 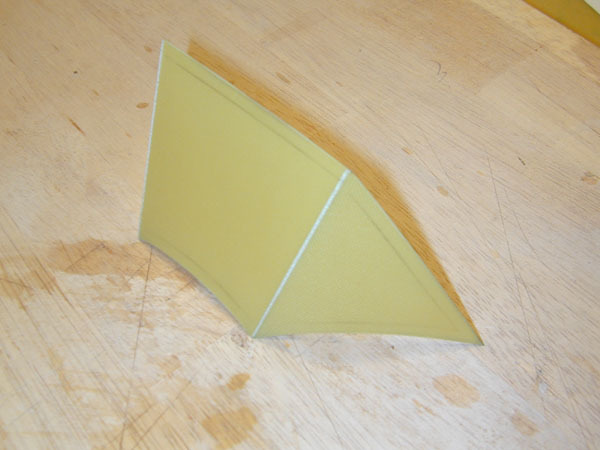 (Above) Place the template on a piece of 0.030 inch. 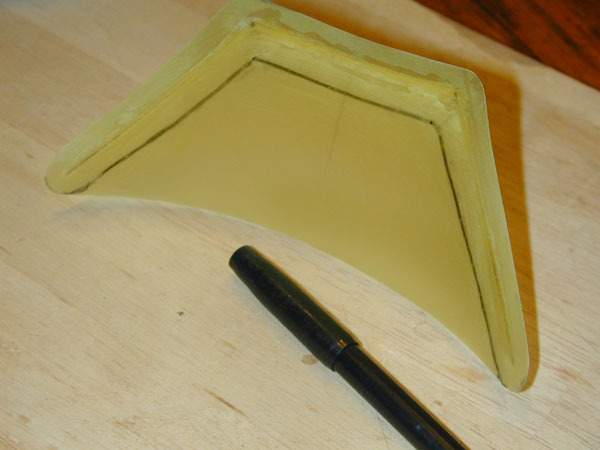 G-10 fiberglass material, use a fine tip marker and trace it out, so you can cut the frame blank out. I use a fine tooth bandsaw and a belt sander to smooth all the edges. 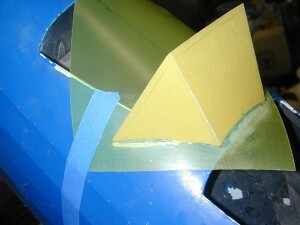 G-10 fiberglass material is available from franktiano.com. 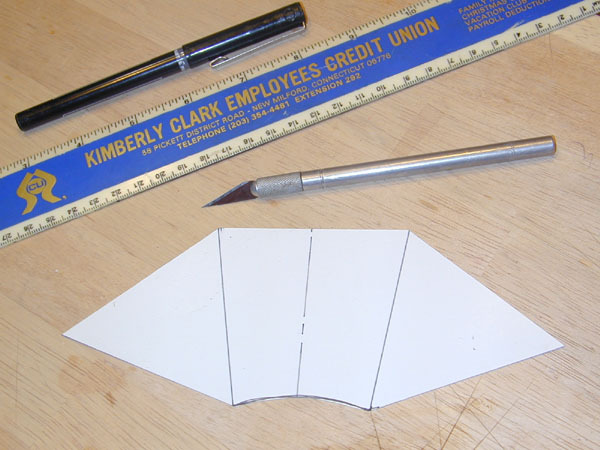 (Above) After the blank is cutout and sanded smooth, use a straightedge and a scriber (or the back edge of a X-Acto blade,) and scribe a bend line in the two places where the blank will be bent to form the frame. Important! Do not scribe all the way through the material, you just want to crack the material to form a sharp bend. 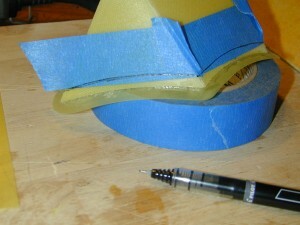 (Above) To prevent the lines from cracking all the way through add some masking tape to the lines before bending. (Above) Flip the blank over and place under a straightedge. 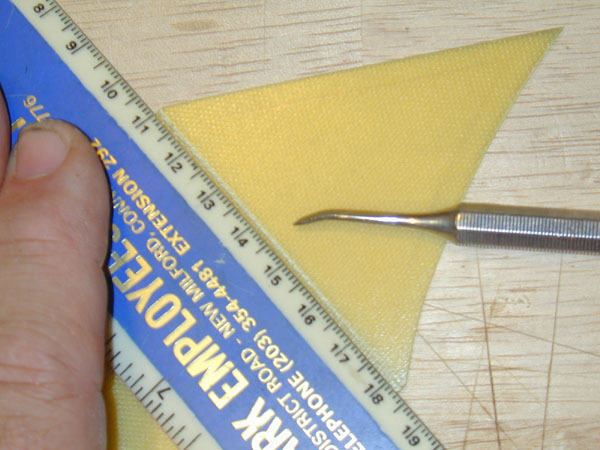 Now carefully lift the blank while applying pressure down on the ruler. As soon as the material cracks, stop lifting. (Above) Here the frame blank is ready to be attached to the base piece. Do not flex the crack bend lines as they will eventually will break. We will apply glue to set the bend angles once it has been bonded to the base. 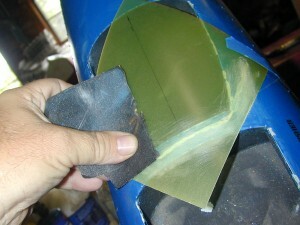 (Above left) Before you can make the base, be sure to sand the area smooth where the old windshield was located. A rough surface will prevent the new windshield from fitting into place properly. (Above right) For the base use 0.015 inch G-1o sheet and tape it down tightly over the fuselage so it sets down exactly to the shape of the cockpit area. Also now is a good time to draw on a centerline to help with alignment. (Above left.) Before gluing the frame blank to the base with Zap medium CA glue, use 220 grit sandpaper and roughen the surface of the base. (Above right.) Work slowly and center the blank in its proper postion. Tack glue at the bottom of the center frame and then bend the side frames into position. Check the alignment and if everything is straight and evenly formed, add more glue tacks and hit with some Zip kicker. 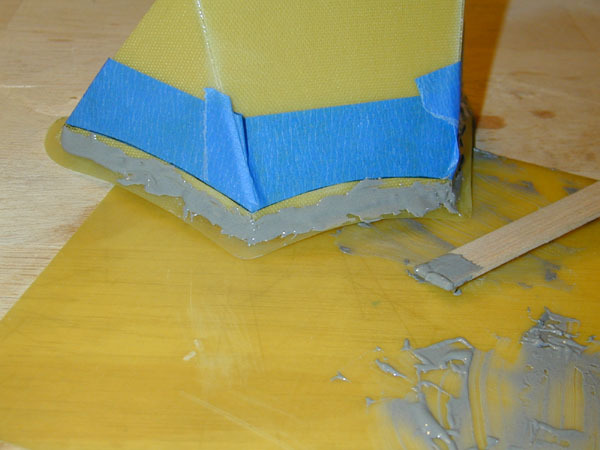 Apply a thin even bead of glue to seal all joints and then run beads of glue on the inside (and the outside) of the crack bends. Here the blank has been glued into place. 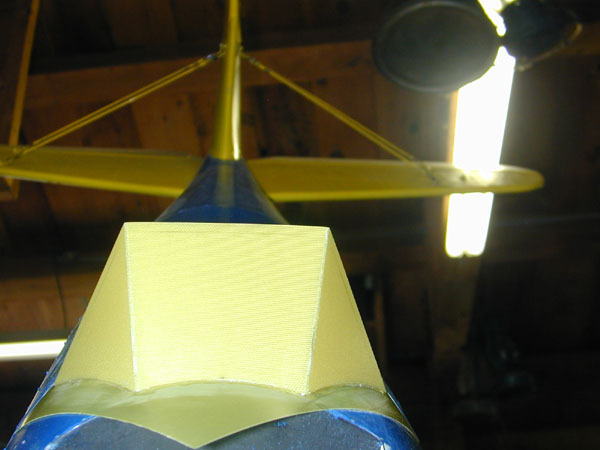 (Above) The best way to make sure the windshield is attached properly, is to sight down the length of the fuselage and make sure the top of the blank is parrallel with the horizontal stab and the frame is centered on the vertical fin. 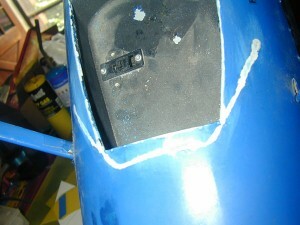 (Above) Remove the tape and lift the windshield from the fuselage. 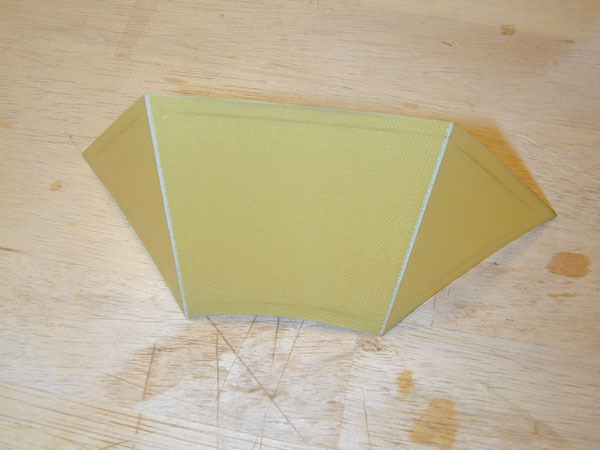 You’ll notice that the enite assembly is now very stiff and holds it shape nicely. 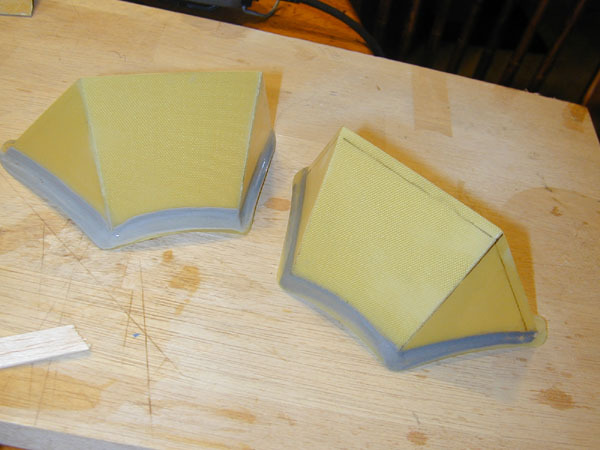 Start cutting away excess material using a old pair of shop sissors. 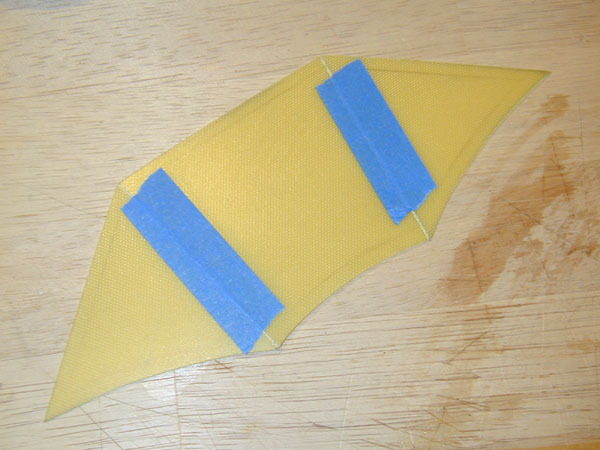 (Above) Use a marker and draw the outline of the base strip making it about 1/4 to 5/16 inch wide depending on what looks scale! 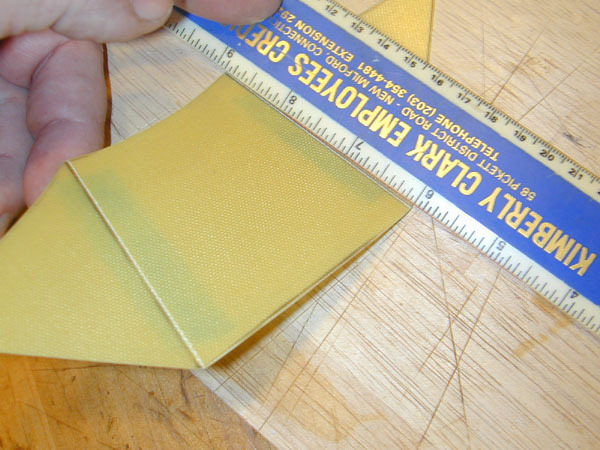 I use a belt sander to shape the base and then use 220-grit sandpaper to smooth the edges. Take your time and be gentle, you can still break the assembly if you are ham fisted at this point!. 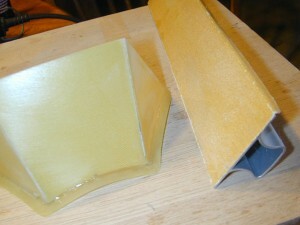 (Above) Here the base has been shaped and sanded smooth. (Above left.) Using the outer edge as a guide, mark the inside edges of the base with a fine tip marker. Typically I make the base between 3/8 and 1/2 inch wide depending on the size of the model. (Above right.) Use a Motor-tool and a medium-size grinding bit and carefully remove the access material from the middel of the base. 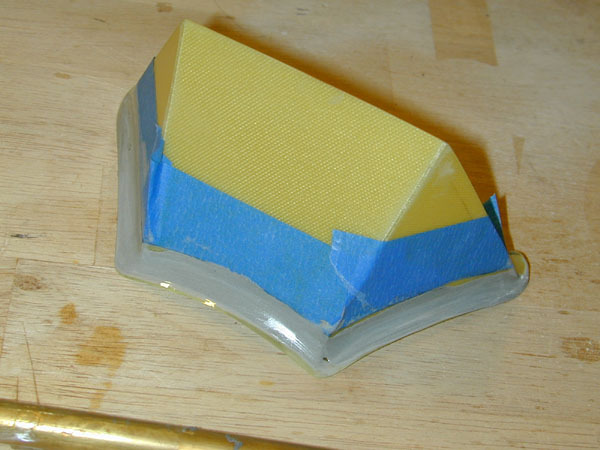 As before, use sandpaper to shape and smooth the base strip. (Above left.) With a flat sanding bar and fine sandpaper, sand the glue beads over the crack bends until you have smooth, shape corner edges. If you find voids, add more glue and sand again. (Above right.) To make the bottom fillet apply masking tape to the frame and mark the upper edge using the lower base edge as a guide. (Above Left.) 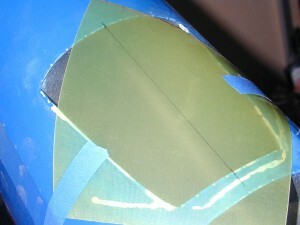 Here the tape has been cut to shape and I am using JB Weld as the filler material to form the fillets. (Above right.) 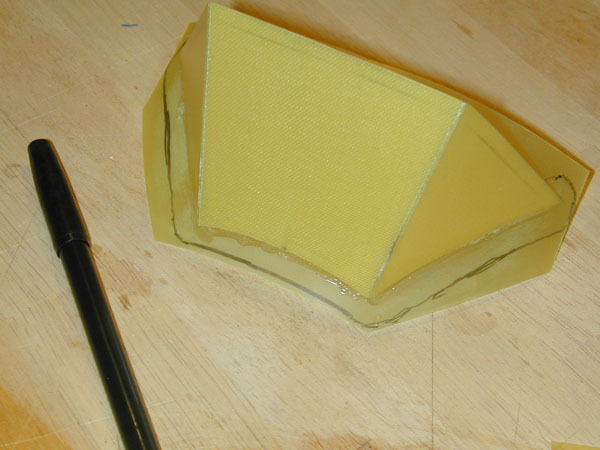 Here I have mixed the filler material and using a scrap piece of balsa I have applied it to the lower joint. (Above.) 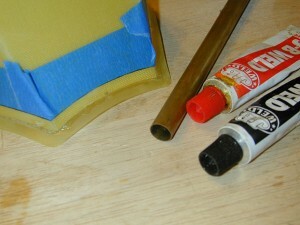 I use a length of K&S 3/8-inch-diameter brass tube to form the concave shape of the filler material. Again, work slowly and if you mess up, re-apply some more filler and try again. JB Weld sets very slowly and it is very forgiving. 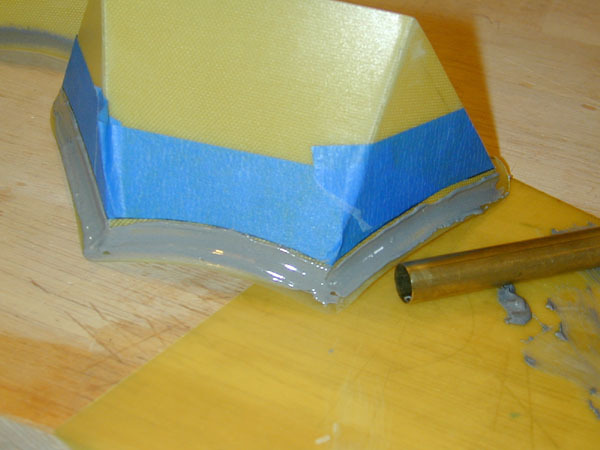 (Above) Now use some water and your finger tips to smooth and spread out the filler. If you do a good job here, no sanding is required for a smooth finish! (Above.) OK, remove the masking tape and let the filler material cure overnight. Now, go ahead and make the second windshield using the same technique. (Above & Below.) 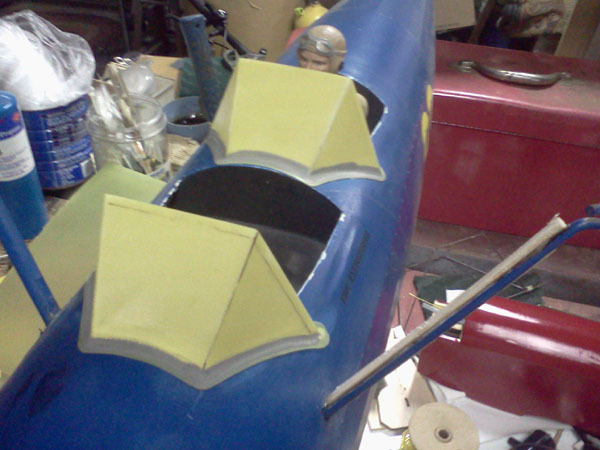 Here’s a couple pix of the formed windshield assemblies in place on the Stearman. I also threw in an old scale pilot figure (1/5-scale) for size reference. 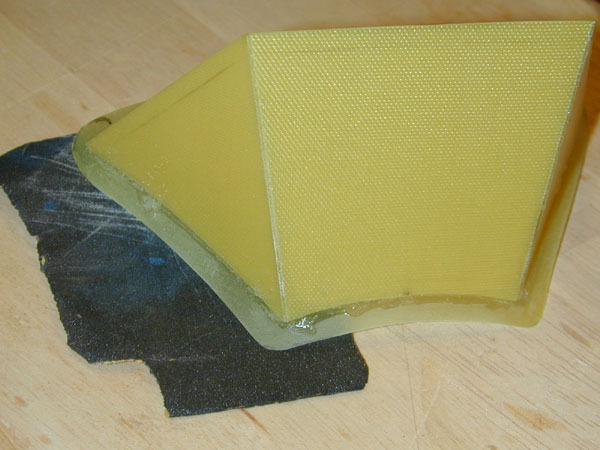 As you can see, the base strip fits snuggly down on the surface of the fuselage. You can either glue it into place with Zap CA or, do as I do and just tack glue it with a couple drops of glue and then add small screws to hold it in place. 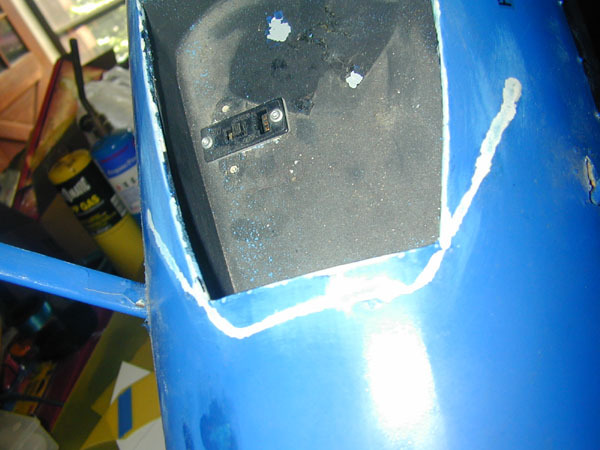 With the screws, you can easily remove the windshields if needed for repairs or if you are going to refinish the fuselage, (which is what I will eventually be doing here.) Small screws are available from MicroFasteners.com and from rtlfasteners.com.